Systimax è un brand del gruppo CommScope. CommScope (NASDAQ: COMM) helps companies around the world design, build and manage their wired and wireless networks. Our network infrastructure solutions help customers increase bandwidth; maximize existing capacity; improve network performance and availability; increase energy efficiency; and simplify technology migration. You will find our solutions in the largest buildings, venues and outdoor spaces; in data centers and buildings of all shapes, sizes and complexity; at wireless cell sites; in cable headends and telco central offices; and in airports, trains, and tunnels. 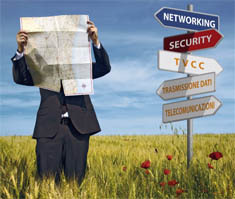 Vital networks around the world run on CommScope solutions.